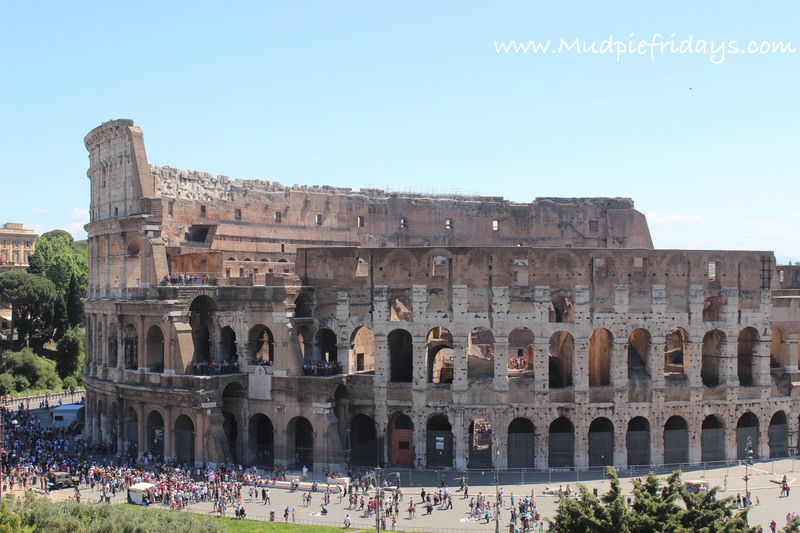 This week has been a bit unusual as Hubby and I spent five days in Rome while Monkey stayed with his grandparents. I know how lucky we are to be able to do this! It gave us some much needed relaxation time away from the stresses of everyday life. 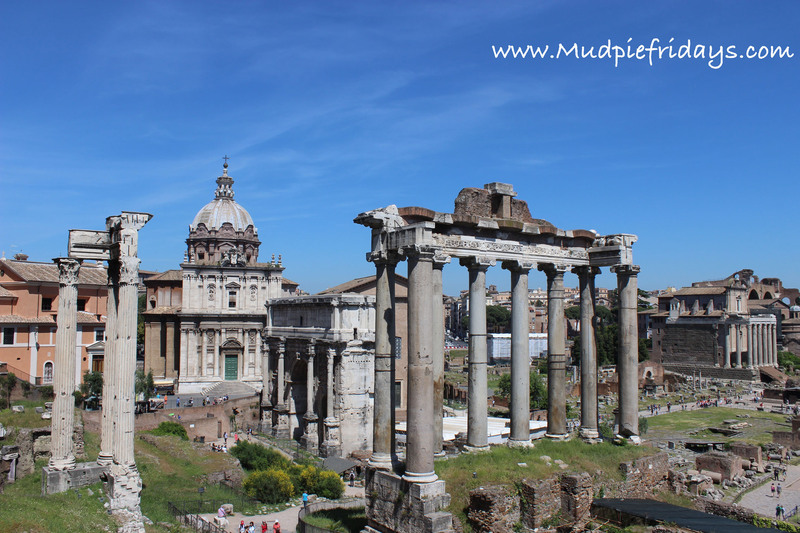 As we have visited Rome before on our honeymoon we thought we would take it pretty easy, but if you have ever been you will know its the sort of city that keeps giving! So we couldn’t resist wandering around other areas which we didn’t get to first time round. We had a fantastic time. We had planned to have a family day on the Thursday preferably outside – although the weather was horrid – bit of a shock when you had just come from 28 degrees! Instead we opted to go to the cinema, normally we would go on a Saturday morning to our small local cinema, partly because its so much cheaper as they do special rates and also its s bit smaller. However we needed to go to a large cinema in a nearby town, we watched Home. It was a bit of a tear jerker at the end and Monkey decided he preferred the smaller, quieter cinema. So not sure how much of a success it was! 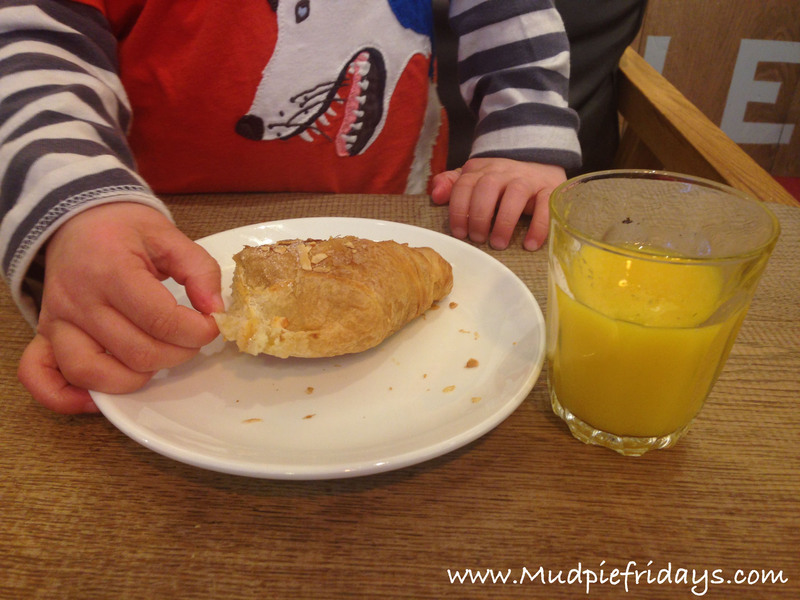 Friday morning we dropped Daddy into work and used the opportunity to have breakfast out, which is a bit of a luxury for us, before going to Music Bus. 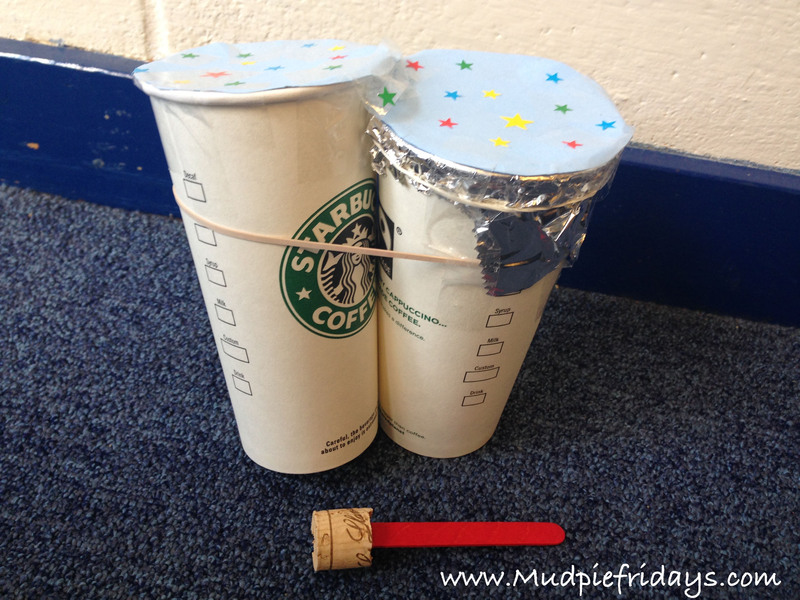 This week we made our own musical instruments from drinking cups, elastic bands, rice and pasta, tin foil and card. All the children got really into it resulting in a much more rowdy class than normal! Still great fun though. In the afternoon we went swimming, Monkey goes to a class on a Sunday morning but he’s been asking to go without his swimming teacher so he can play…. The main attraction of the pool we went to was the slides, but they weren’t working, who turns off the slides on a Friday….? He was very good about it though, I was expecting a three year old tantrum but he just said he was sad and then got in with having fun jumping in from the side and learning to swim on his own with his new special costume that has foam built in to keep him afloat. Have we turned a corner…wishful thinking? 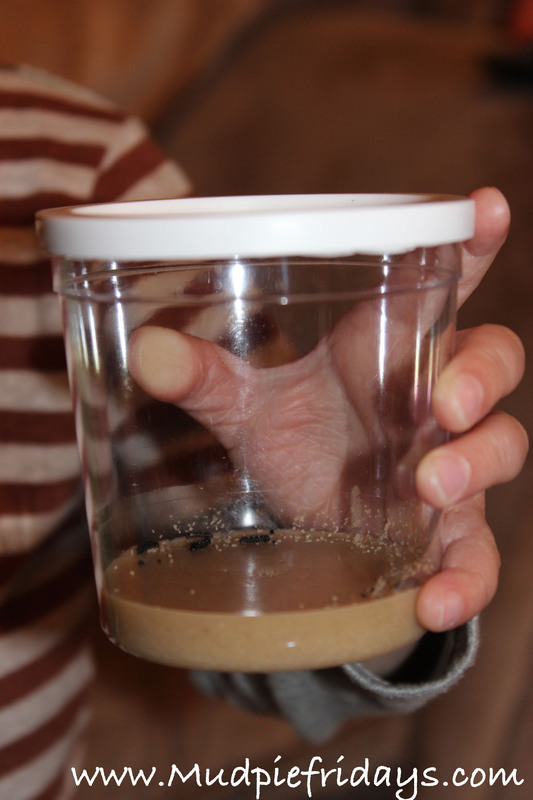 We haven’t been at home much this week, but Monkey had a nice surprise on Thursday when his first ever set of caterpillars turned up from Insect Lore. He’s been fascinated ever since, talking about them to his little friends at bus and also wanting to get home to them to make sure they are all okay. I will be writing a full post on them so what this space. We also made a plate for Monkey’s Nana and Bamps to say thank you for looking after him while we were in Rome. 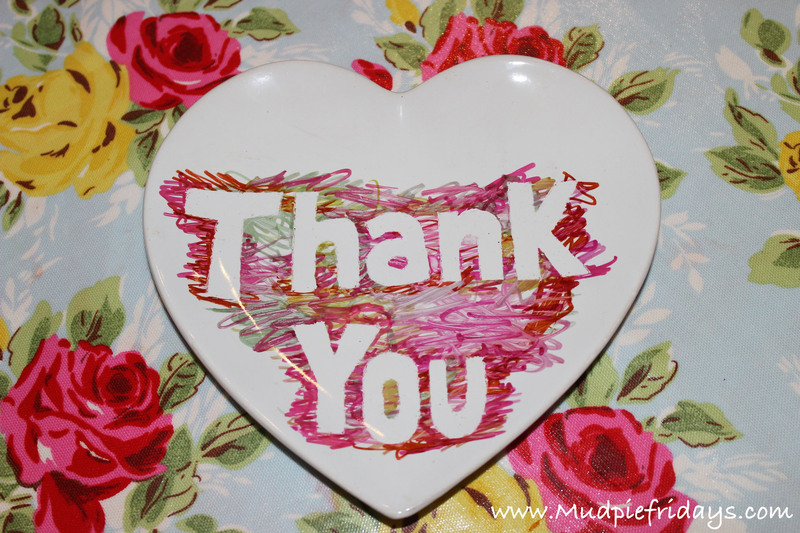 I picked the heart plate up in Wilkinsons and used the same method as we had done previously to make a Grandpa mug. You can read how we did it in the full post here. Well I have had loads of that this week, it was so nice to be me and not just Mummy. Not that I would change being a mother for the world but sometimes its nice to remember you are you too. When I picked Monkey up from his grandparents and he was so happy to see me and kept hugging me for most of the day (he’s not very free with his cuddles normally). It made me feel very appreciated and slightly guilty for going away! 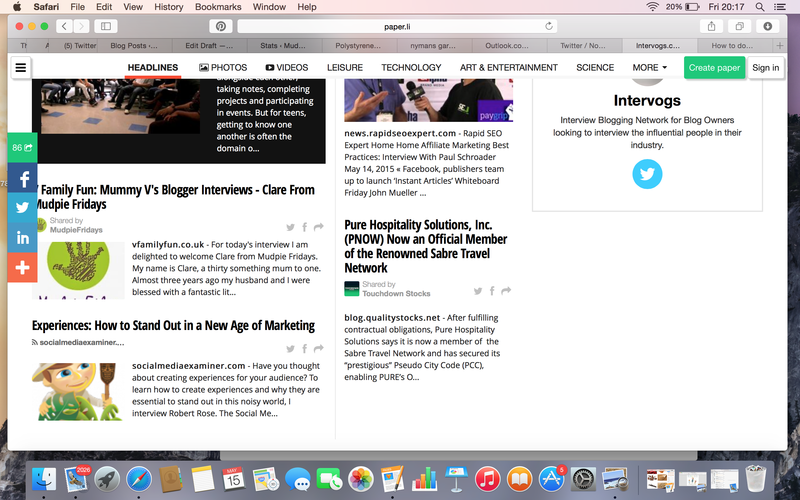 Catch up with the blog, as I feel its been a bit neglected since Ive been away. A friend is coming round on Monday night, we are planning on getting together every other week as she has also has a blog and online business at www.scrummymummymaternity.com. The ideas is to try and motivate each other, share ideas and provide a bit of focus! Hoping we won’t just natter about the kids and have a drink… we’ll see! Wow Rome sound amazing, I have always wanted to go! How lovely for you be able to have some couple time, I think its so important! I really love that plate I’m off to read your ‘how to’ post. I love when I pick up Oliver from his grandmas house and he looks so pleased to see me. That sounds like a brilliant week, Rome must have been fabulous!